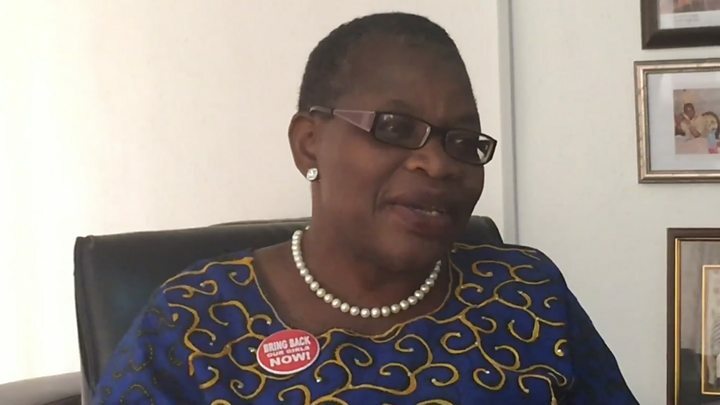 "We no go gree for bad leaders again"
Leader of Bring Back our Girls group, Dr. Oby Ezekwesili, don stamp say PDP and APC no go rule Nigeria again. Ezekwesili say as di supporters of President Buhari launch election campaign for 2019 di same day wey herdsmen massacre people for Benue State, di thing pain "well-well" and na dia she decide say she "don get political agenda." "Dis na di same behaviour wey PDP do when Boko Haram first kidnap Chibok girls," she talk. According to her, she don give PDP and APC Red Card because di two of dem don fail di country. Now, she say her agenda na to get people wey get all dis qualities but no wan run for office sake of all di yama-yama wey dey happen for government.